The NASCAR Sprint Cup Series opens the second round of the Chase for the Sprint Cup at its home base as the Charlotte Motor Speedway hosts the Bank of America 500 on Sunday afternoon. From Charlotte Speedway: Saturday’s Bank of America 500, the fourth race in the Chase for the NASCAR Sprint Cup, will begin at 12 p.m. on Sunday with a favorable forecast expected; the Drive for the Cure 300 presented by Blue Cross and Blue Shield of North Carolina will begin 45 minutes after the end of the Bank of America 500; Gates open Sunday at 9 a.m.
For the past few years, the Charlotte night race as thrown some teams a curveball and many Sprint Cup championship favorites have seen their hopes shattered here. The second round of the Chase is the toughest to advance out of as all the drivers would like to avoid facing elimination at Talladega in a lottery style format. 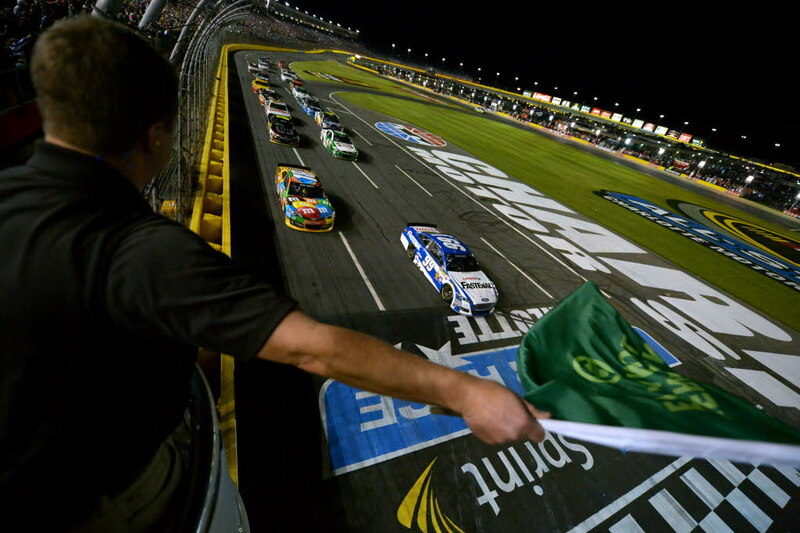 That makes winning at Charlotte extremely important toward capturing the Sprint Cup and that pressure coupled with a fickle race track that changes characteristics under the lights sets the table for a very interesting race Saturday night. Nobody has been better on the 1.5 mile tracks this season than Martin Truex Jr. Truex and the #78 team have literally dominated on these tracks, racing to two victories and leading the most laps in the others. The last time the series came to Charlotte, this team delivered a knockout blow to the field that hasn’t been seen in sometime. With two wins in the opening three rounds of the Chase, suddenly the team from Denver, CO has become the favorite to win the Sprint Cup and that momentum should carry on Saturday night at Charlotte. Make no mistakes about it, Martin Truex Jr. is the guy everyone is shooting for this weekend and if the other Chasers want a free ticket to the next round, they are going to have to go through the #78 team to get there. Last year, Joey Logano used his victory in this race to effectively knock out the championship favorite in Matt Kenseth the following week at Kansas. This year Logano has been a bit quieter although he remains solidly in championship contention but earlier this year he did win the All Star race here at Charlotte. Logano has run fairly well on the 1.5 mile tracks this season as well and his tempered aggression this season kind of sets him up to be one of the guys that sneaks in there and grabs a win before anyone realizes what happened. Earlier this week Logano admitted the way he handled last season’s dust ups most likely cost him the championship but while now a bit wiser, don’t be fooled into thinking his drive is somehow diminished. 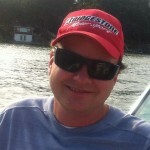 I think Joey Logano will be a factor at sometime in this Chase and it could start Saturday night. Matt Kenseth has had a strong Chase so far this season despite the team getting off to a slow start at the beginning of the year. Kenseth also has a pretty good track record at Charlotte although he seems to perform better in the 600 miler in May than in the fall race. He did win this race a few years ago but last season a misstep in this event likely ruined his championship hopes despite being the favorite to win the title at the time. Kenseth and the #20 team are well aware of what happened here a year ago and should be focused on laying down a strong race this time around. This has been the toughest Chase round for Matt Kenseth to advance out of and a win on Saturday would go a long way toward possible winning his second championship. After making the Chase in his rookie season, Chase Elliott has really come on strong of late and is now on the verge of scoring his break through victory. It could very well happen Saturday night at Charlotte as Elliott has been very fast the first three weeks of the Chase and he about had the victory locked up at Chicago, another 1.5 mile track, before a late caution foiled his plans. Elliott has proven he is very smart behind the wheel, even for a rookie, and it appears he is beginning to gel with his crew at the right time here in the Chase. I’m not sure people were taking this rookie’s championship run seriously at the beginning of the Chase but I think everyone will start to take notice now. Don’t count out Chase Elliott on Saturday night or in your championship picks for that matter. This rookie is for real.